In the last post Underground In Prydain discussed the relevance of physical releasing to the unsigned artist. Is it worth forking out more to reach a wider audience after the initial costs of getting your music recorded? There are so many ways in which to invest your funds, with no clear evidence as to which is most effective, and it would be impossible to experiment with trial and error for each and every one. Technical death metal outfit, De Profundis, have recently unleashed an EP sampling of tracks from their upcoming full-length, and they’ve gone down a slightly different route than others may pursue. Splitting the release between a self-managed digital campaign and collaborative physical distribution with Terrorizer magazine, have they hedged their bets a bit too much, or delivered a perfect method? We take on founding member Shoi Sen in an attempt to find out. UP: Hi Shoi, how are you today? SS: Hey! I am cool. How do you want to do this? UP: I have some specific questions, but we can generally just shoot the s***! Sound good to you? UP: Well, we’re currently discussing releasing methods and physical formats. Do you think CDs, vinyl and tape still have a viable place in the future of music? UP: Do you think everyone’s really going to make the move to digital, full-time? SS: I think it will be a mix to be honest; physical copies as collector (pieces?) and the rest digital (sadly). I don’t think physical copies will totally disappear in metal, and jazz, which has a lot of collectors as well. UP: Right enough, you recently put out the EP ‘Frequencies’, first through your own digital campaign, followed by a later physical magazine distribution. What sort of reaction did you receive for the digital release? SS: The overall reception of the EP has been really fantastic to be honest. In the past all our releases met with either with ardent support or pretty vocal detractors. This time around it does feel that we have managed to capture a more universal sound. I think people have really liked the idea of offering a taster for the album as a digital release, but again we’ve had some grumbles from people that want physical copies. Overall we are extremely pleased by how people have taken to De Profundis, and we’ve noticed at shows that people are coming the merch stand and buy all the other albums straight away. UP: It was a free release, wasn’t it? SS: Yes that helps, too! We deliberately wanted to keep it that way, so a maximum amount of people get to hear it, and again we’ve been pleasantly surprised. The EP was available from Bandcamp where people could name their price, and you know what? A lot of people actually paid for it! I know Craig, our vocalist, didn’t think anyone would pay, and he’s been surprised as well. So, there is hope out there. UP: So, this was purely a promotional drive, was it? SS: Absolutely. De Profundis’ biggest issue has been lack of awareness, and this was, in our mind, the best way to address it. Also, the point of the EP was that the album would follow after that, so instead of sitting on one release for 2 years we stay in the news with the album. SS: Yes, absolutely! Let’s face it, a gig is the moment that people have technically dropped their guard, especially if they’ve liked your performance, and that’s the moment they are most likely to buy . But you know the funny thing? We’ve toured with some big bands like Marduk, Immolation, and Malevolent Creation, and none of them sold CDs at their stands. I don’t get it. SS: Perhaps, but I don’t think it hurts to get a stock from your label. UP: Going back to the plan of using the digital release simply as promotion, was this the same intention behind the physical distribution through Terrorizer? SS: We wanted to make sure a maximum amount of people get to hear it, and using the distribution of Terrorizer was a good way of doing it. Also, being in a major magazine sort of legitimises your band as well. UP: It’s something many musicians might not have much experience with. A track on a cover-mount CD is one thing, but a whole release? How does that process actually work? UP: I hope you don’t mind me asking, but was it expensive? UP: Would you say it was worth it? SS: At the moment it’s difficult to say as the magazine wasn’t distributed when it was supposed to be, ie before Bloodstock so the idea was good, but the execution not so much. UP: It is kind of a new process for both parties, though. Could that simply be a case of a learning curve? UP: Was that the only option for getting hold of a physical CD? SS: At the moment yes, but we may envisage something else, let’s see; perhaps a limited vinyl run. SS: Yes, it would be nice. Let’s see. Perhaps do it as a pre-sale before ordering. To be honest we will gradually be shifting our attention from the EP to the album, now. UP: Which, again, raises the same concerns of format itself. UP: What do you think you’ll do release wise if the label option isn’t available? SS: Let’s think positive! Honestly we don’t know yet. I think De Profundis has been gathering enough buzz lately that we should get a label. SS: Not at the moment, but in the past we have thought about setting up our own label and going down that route, but I think the band needs a bigger fan base to afford that. UP: Isn’t that essentially what every unsigned band does when they put out a recording? SS: Yes, pretty much. Not sure if it works. We did it with our first album, and the reach was limited. UP: You build up a network over time, though. For example, you recently signed a PR deal, didn’t you? SS: Yes, we have. It’s been a long road, but we’ve met people that really believe in this band, and are actually pushing it, which is very encouraging. UP: The company (Imperative) is run by some quite experienced, well connected individuals. Do you think it could give you some of the advantages you would see from a label? SS: Yes, actually we are in discussion at the moment about extending our work with them. It would be better for us to work with people who are well linked to the industry. You get to a point where contacting people as the guitarist of the band gets a little too much. People just ignore you. UP: Ah yes, the old music industry adage that having someone else do that part of the work brings legitimacy. SS: I think that’s true. It’s made a real difference on the live front since we’ve had (Euro booking agent) Nazgul. UP: So, you have a booking agent agreement, too? SS: Yes, Nazgul Booking Agency has been our booking agency for the last 18 months, and in all honestly our career just picked up from that point. They’ve been pushing us like mad, and we’ve done 4 tours with them already, and they got back to Bloodstock . UP: Your PR is covered. Your live campaign is covered. All that really needs taken care of at this stage is distribution. If physical is on the way out – or down, perhaps – is a label really the answer? SS: I think being on a good label is important because it legitimises you a lot more, you get offered better slots on tour, etc. SS: Yes, absolutely. If we were on Century Media I know we would get more festivals and touring offers. It goes without saying, especially with the infrastructure we have around now. UP: It seems to be a case of predicting a series of building blocks. UP: Well, Shoi, it’s been an absolute pleasure! As at the end of every interview, I’d like to ask one last question: Any closing advice for independent artists looking to unleash their latest opus for maximum impact amidst the war between digital and physical formats? SS: Thanks! Always cool to talk about these subjects with you. I think for anyone out there wanting to release their material today, you have to have an excellent grasp of the internet and social media tools. We took a bit longer than some other bands and still learning. I think for any new band, releasing digitally is a good way, but have some physical copies ready to sell at shows; those buying will be your long term real fans! UP: Fantastic! Thank you very much for taking the time out for this interview. I wish all the best with the full-length. I can’t wait to hear it! SS: Thanks mate! We’ll make sure you get it well in advance! 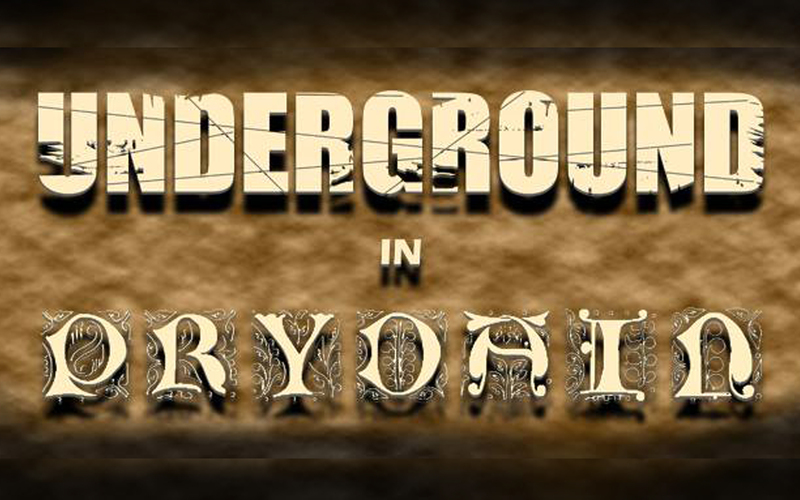 Posted in Underground In Prydain and tagged Underground In Prydain.